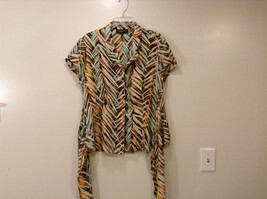 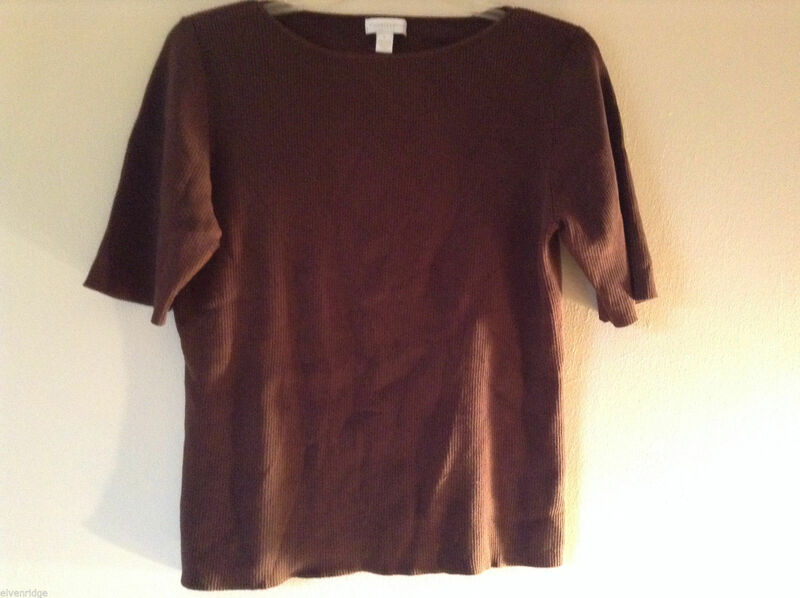 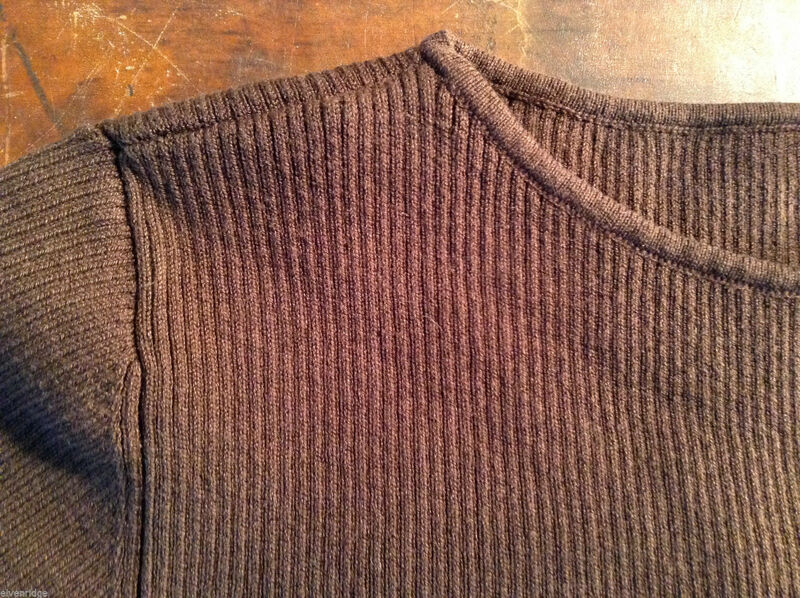 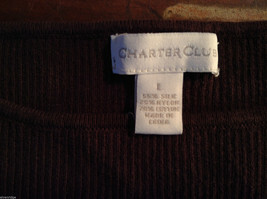 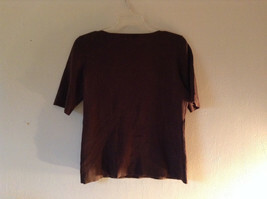 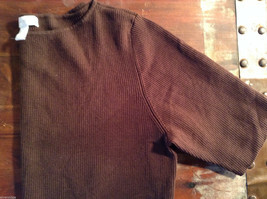 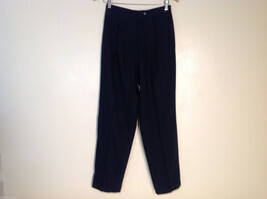 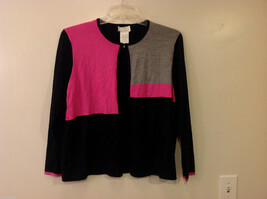 This is a Charter Club women's size L short sleeve sweater in a brown ribbed silk blend (55% silk, 25% nylon, 20% cotton) knit. 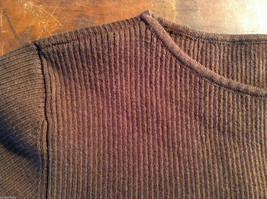 Please note the following measurements to ensure the correct fit! 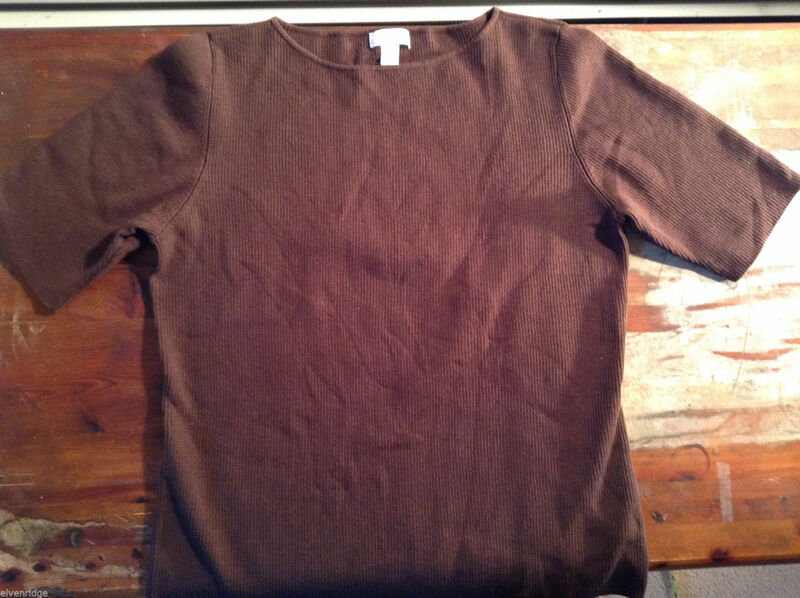 Shoulders (seam to seam): 13"
Sleeves (shoulder seam to end): 11"
Bust (underarm to underarm): 18 "
Length (shoulder to bottom): 22"